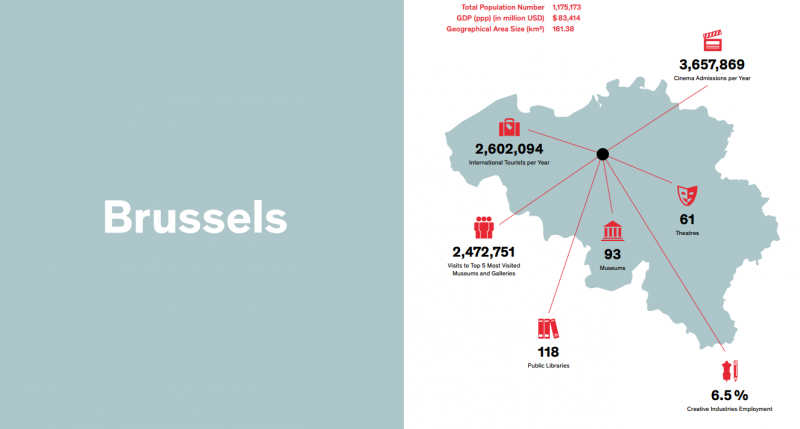 ASEF culture360 contributor Florent Petit sketches a profile of Brussels, the capital of Belgium and home to the most important bodies of the European Union. One of the most important decision making centre in the world but also, in recent times and for bad reasons making the headlines, in close connection with some of the challenges Europe is facing today. Euro crisis, debt crisis, migrant crisis, terrorist attacks, rising antagonism between French speaking and Dutch speaking communities, disorganised, far from being perfect… Brussels, the capital of Belgium and home to the most important bodies of the European Union, is one of the most important decision making centre in the world but also, in recent times and for bad reasons makes the headlines, in close connection with some of the challenges Europe is facing today. In this context, one could wonder when does the Brussels region capital, with its 1.2 million inhabitants, is quoted for its rich cultural scene . The most recent news can easily make us forget the other side of Brussels: a vibrant, unique, multicultural and multilingual city, with a remarkable 19th and 20th century architectural heritage, and certainly one of the most diverse and dynamic cultural scenes in Europe. Le Théatre de la Monnaie, for instance, has been acclaimed as one of the best Opera house in Europe, being awarded by the Opernwelt magazine (the Bible of Opera lovers and professionals) the best European Opera house of the year 2011. The theatre that showcases operas but also recitals, contemporary dance and chamber music, was at the forefront of the protests regarding the budget cuts decided by the federal government of Belgium. 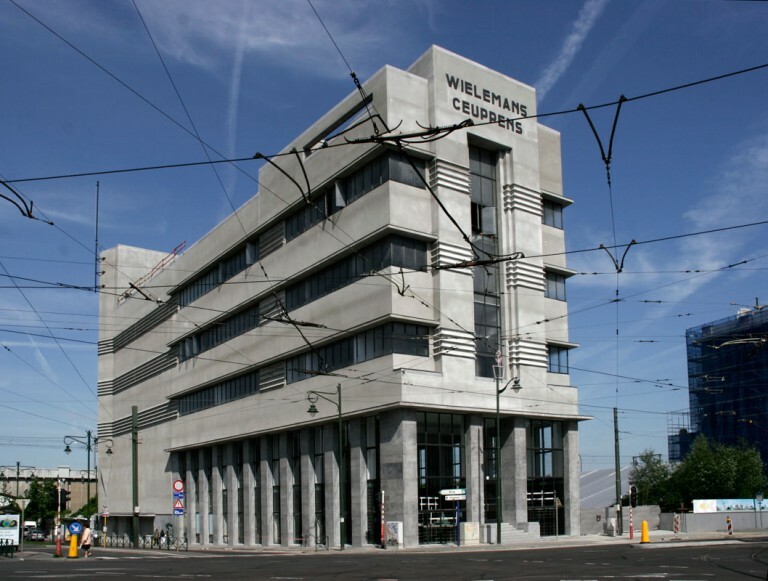 The impressive Flagey building, made in the 1930’s in the Southeast part of the city is the former headquarters of the national radio and television. The building has been once threatened of demolition but fortunately, it is now one of the highlights of the capital cultural scene, apart being a great example of Art Deco architecture. It now welcomes a rich and diverse musical season and cinema programme with a variety of events such as the Brussels Short Film Festival (also partly presented in the Cinematek), the Brussels Film Festival and jazz, classical or world music concerts. The Bozar - Centre for Fine Arts (Bozar), a striking work of architecture by the iconic Belgian architect Victor Horta, has developed an impressive and diverse programme of cultural events stressing the European flavour and international dimension of the Belgian capital. The venue hosts world class-art exhibitions, architecture and literature programmes, forums, screenings and concerts in its renowned music hall, making of Bozar a comprehensive centre for the arts. Bozar is also the backbone of larger events with programmes spanning nation wide, like the Summer of Photography which gathers every year more than 30 participating venues in all Belgium. 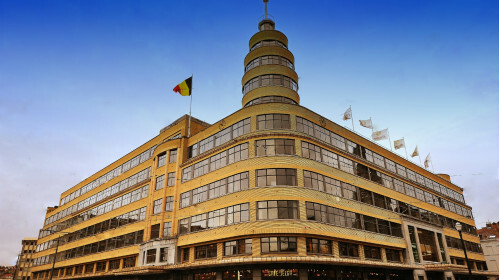 One of the most unique features of the Belgian capital is the Belgian Comic Strip Centre, located in a former textile warehouse also built by Victor Horta in 1906. 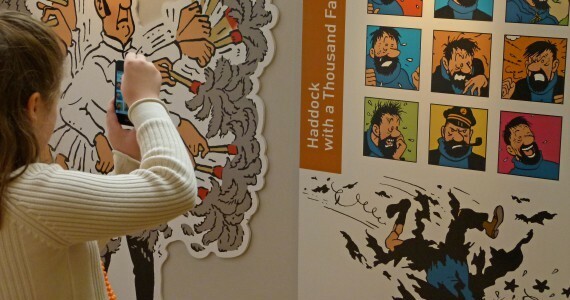 The centre, originating from a private initiative, is home to one of the most prestigious collection of comic strips in the world, showing the vitality of the comics tradition in one of its world capital. 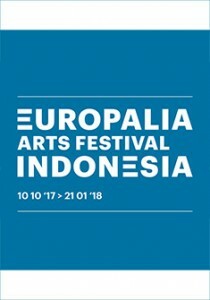 The European Capital of Culture agenda is marked every 2 years by one of the most important festivals on the continent with the Europalia cultural festival. A different country is invited for each edition to present its best achievements in performing and visuals arts, with exhibitions and shows programmed throughout the city and also in other parts of Belgium. 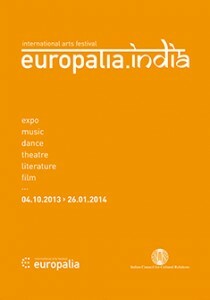 Strictly limited to European countries in its inception, Europalia focused more recently on Asian countries such as Japan, China or India. The next country invited for 2017 will be Indonesia. 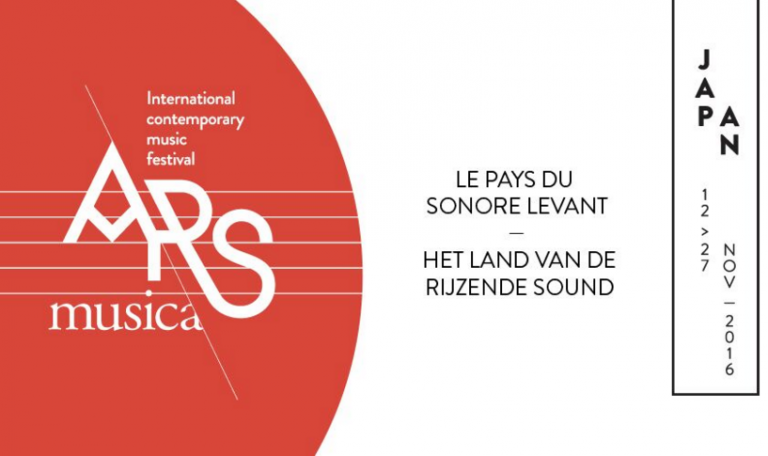 Another important festival bearing a similar international dimension is the prestigious Klara Festival, dedicated to classical music, organised yearly in March with several venues in Brussels, Bruges and Antwerp. The programme offers operas, music theatre, concerts and multidisciplinary performances and tries to build bridges with other disciplines such as film or visual arts. Brussels has often been presented as a nest for artists and a hub for contemporary arts with the settling of private collectors and a bloom of contemporary art galleries. No doubt, it is probably as hard as any other place in the world for an artist to make a living but one must recognise that, with a few public institutions and a rich network of galleries and private foundations, not to forget lower rents than in many other cities across the continent, Brussels has a lot to offer. Among the most striking public structures is the Centrale for contemporary art settled in a former electric power plant located right in the heart of the city and funded by the city of Brussels, with a special attention given to the European art scene. The impressive Wiels art centre, hosted in a former brewery located in a 1930’s modernist building, also provides a good insight on the diversity of the contemporary art scene, a stage for international emerging artists, including an artist in residency programme. On photography, the Espace Contretype, Centre for contemporary photography in Brussels, opened at the beginning of the 1990s, proposes a diversified cultural programme showcasing the variety of the contemporary art scene in that domain, including residencies where guest artists are invited to use Brussels as the subject of their work, thus creating a visual archive of the capital. The Belgian capital has seen in the last decade a blossom of contemporary art venues, with a rich ecosystem of private structures, such as the Vanhaerents art collection, Maison particulière, CAB (Contemporary Art Brussels), the Foundation A Stichting (dedicated to contemporary photography) or the Fondation Boghossian, hosted in the villa Empain, an Art Deco gem, the place for Asian contemporary art. The vitality of this contemporary art scene can be embraced through the online agenda Neca Brussels, providing a large insight on the openings, previews and exhibitions held both in private and public structures in the city. When it deals with performing arts, Brussels counts on a dense and vivid network of structures standing as great platforms for the latest trends of dance, theatre and contemporary music. One could mention for a start Ars Musica contemporary music festival. Initially organised on a yearly basis, the festival, which unfolds in several venues in town, turned as a Biennale in 2014. The forthcoming edition of 2016 that will take place in November, will propose a focus on the Japanese art scene. The Midi Minimes festival, (organised by the Royal Conservatory of Belgium) will celebrate its 30th edition this year and relies on the idea to propose every summer a series of 35 minutes concerts at noon (midi in French) for a fixed price of 5 euros thus setting up inexpensive and original ways to bring culture to people during their lunch break. When it comes to contemporary dance, you cannot think of Brussels without mentioning Les Brigittines - Contemporary Art Centre for Movement. 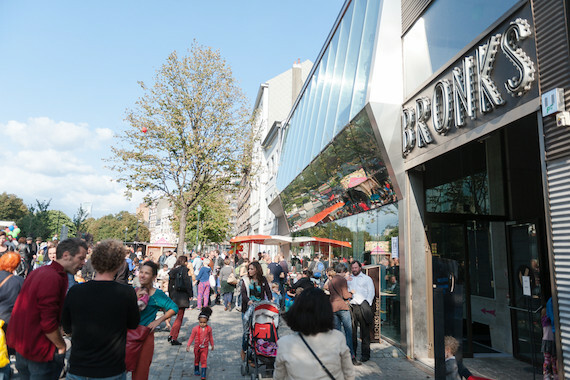 The activities of the centre are organised around 3 main chapters: the season, the creative residencies and an annual international festival of contemporary performances taking place at the end of summer. The Centre is hosted in a baroque chapel built at the end of the 17th century with a contemporary extension opened in 2005, offering a perfect union of classical and nowadays architecture. The vitality of Brussels contemporary dance scene relies also on one of the two precincts owned by Charleroi Danses, one of the most renowned contemporary dance structure in Europe, with another place based in Charleroi (south part of Belgium). The centre organises residencies and the production and touring of works of artists welcomed by the structure, as well as training programmes for professionals. Charleroi Danses also manages a biennale of contemporary dance with a large place given to international artists. This attention for contemporary forms is also present in multidisciplinary structures such as the Halles de Schaerbeek, a former Market place built in 1901 in the north part of town now turned into one of the most noticeable live music and performing arts venue in the city. With a strong European flavour in the programme, it offers concerts, performances, dance, circus and more. Even more diverse in its activities is the Beurschouwburg, located right in the heart of the city, very near the iconic Grand-Place and Brussels Stock Exchange. It proposes films, exhibitions, concerts, and clubbing and enjoys a nice café on his upper level with an outdoor terrace. The place’s credo is to present emerging artists, working in Brussels or abroad and cast bridges between artistic practices. Brussels also enjoys a rich theatre scene with several institutions such as the Kaaitheather for instance. This is a Modernist architecture theatre handled by a not-for-profit organisation proposing a diversified programme made of dance, theatre, performances, music, screenings and conferences with a special focus on contemporary creations allowing the development of new forms of expressions. The team also owns a studio used for smaller productions and rehearsals located in a former brewery. The Théâtre de la Balsamine, is located in former military barracks in the Northeast part of town and dedicates itself to the presentation of the work of young and emerging theatre and contemporary dance companies. Every Wednesday the place turns into a cinema, screening rarities such as animated movies or B-movies. Last January, Balsamine organised a reception for the refugees recently arrived in Belgium, thus symbolising the openness of the place to every form of diversity. Another interesting place more centrally located is the Bronks theatre, with programmes entirely conceived for young audiences. Each season, Bronks invites artists to make special productions for children or youth, some of them creating their first performances for children, with a special attention given to artists from Flanders or Netherlands (but not exclusive to these regions). The place located in a brand new venue built in 2011 also proposes several workshops for schools. Brussels also enjoys the presence of several structures proving the potential of the city for the development of cultural industries. The Centre for Design and Fashion Mad, promotes creativity, innovation and crossovers in these two disciplines within Brussels and beyond, ensuring the role of a platform for creators and designers settled in the capital region. 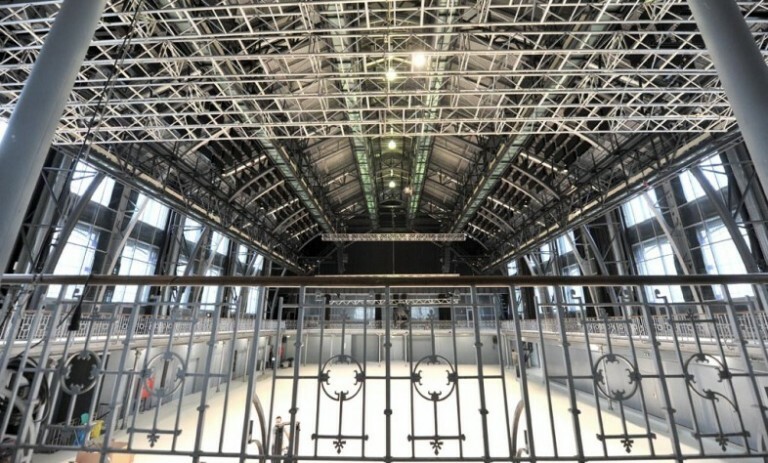 When dealing with the work on images, two structures are note-worthy: Argos Centre for Art & Media which has become over the last decade one of the most renowned centres in Europe for the presentation, conservation and restoration or art film and videos. The centre now owns a collection of about 5000 films and a media library. The other one, Imal (Interactive Media Art Laboratory) promotes the creative practices using computers and network technologies. The venue combines an art centre proposing exhibitions, public lectures and performances with a research centre and Media Lab for artists willing to engage and experiment with new technologies. Brussels is certainly a land of contrasts, a city full of contradictions, located in Flanders but with a dominant French-speaking community, officially bilingual but with a much more important number of languages and communities, a concentrate of Europe and the world ruled with locally-tailored decision making process as part of the complex organisation of Belgian political life. It juxtaposes huge, wide festivals with events scattered nation-wide, enhancing and matching the international and diplomatic context of the Belgian capital with smaller specialised structures, opened to new expressions and creating a nest for European avant-garde. Those willing to get a much more detailed view of this coloured cultural landscape, can embrace it through the Réseau des Arts à Bruxelles (RAB) web portal, offering a common platform for structures and culture professionals gathering around the idea to mutualise efforts to promote a master plan for the development of culture in the specific context of the Belgian capital for the years to come. Another reason to keep an eye on this discreet, anti show-off capital with loads to offer for those willing to search for it.